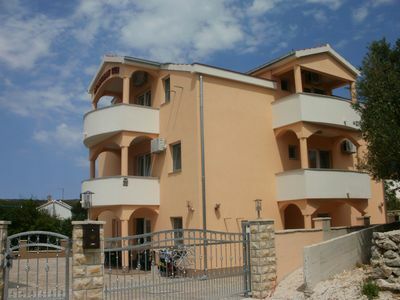 The accommodation Apartments Marija has a total surface of 40 m2 . It is on the First floor. The accommodation is ideal for 4 people and it has a total of 1 bedrooms. If you can’t wait to share your vacation pictures with your family and friends you will be able to do that since this accommodation has Internet. Since the accommodation has a balcony of 10 m2 you can spend your free time; when not enjoying on the beach, on this balcony. We recommend an early breakfast with the sunrise. You can enjoy in quality time with your family by the Grill where you will be able to prepare delicious meals for your family. We recommend fish which can be bought on a local market or from the local fishermen. 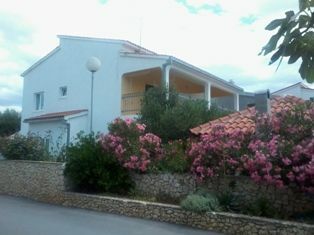 The accommodation is 300 m from the town center Razanj (Rogoznica), and 100 m from the sea. The beach where you can enjoy swimming is rocky, pebble and concrete slabs (beach type); 200 m. If you want to spend the whole day on the beach we recommend that you bring (beside the beach towels) enough water or juice, sun cream, a hat and sunglasses as well.